17 Morris Trophy winners have played in a total of 23 Super Bowls starting with the first ever winner and first ever two time winner Roy Foster. After taking home the Morris Trophy in 1980 and 1981 the USC tackle was drafted by the Miami Dolphins and played for the Dolphins as a rookie in Super Bowl XVII. He played in the big game again for the Dolphins two years later. Washington State University defensive tackle Erik Howard was the first Morris Trophy winner to also win a Super Bowl ring. In fact, he got a pair of rings, for the New York Giants in Super Bowls XXI and XXV. 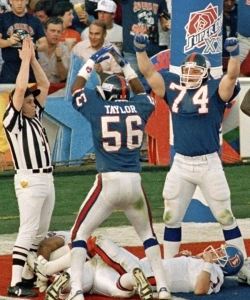 In the NFC title game that preceded the Giants second Super Bowl title, Howard caused 49ers RB Roger Craig to fumble late in the game setting up a field goal on the final play that won the game for New York. Other Morris Trophy winners who claimed a Super Bowl title include University of Washington defensive lineman D’Marco Farr who was on the Rams team that won Super Bowl XXXIV and USC DL Sedrick Ellis who started for the Saints team that defeated the Colts in Super Bowl XLIV. The Baltimore Ravens have had three players who won the Morris Trophy and then played on Super Bowl winning Ravens teams. 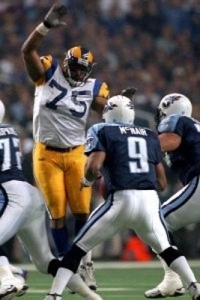 1995 Morris Trophy winner Jonathan Ogden from UCLA won a ring with the Ravens in Super Bowl XXXV. 12 years later when the Ravens won Super Bowl XLVII, 2002 Morris Trophy winner Terrell Suggs (Arizona State) and 2005 winner Haloti Ngata (Oregon) became the first Morris Trophy winners to win a Super Bowl as teammates. The undisputed Super Bowl champion Morris Trophy winner is 1995 winner Tedy Bruschi. 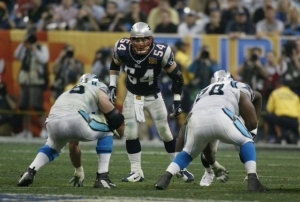 After an All American career at Arizona he was a defensive stalwart for New England for 13 NFL seasons making five Super Bowl appearances and winning a ring in Super Bowls XXXVI, XXXVIII, and XXXIX. 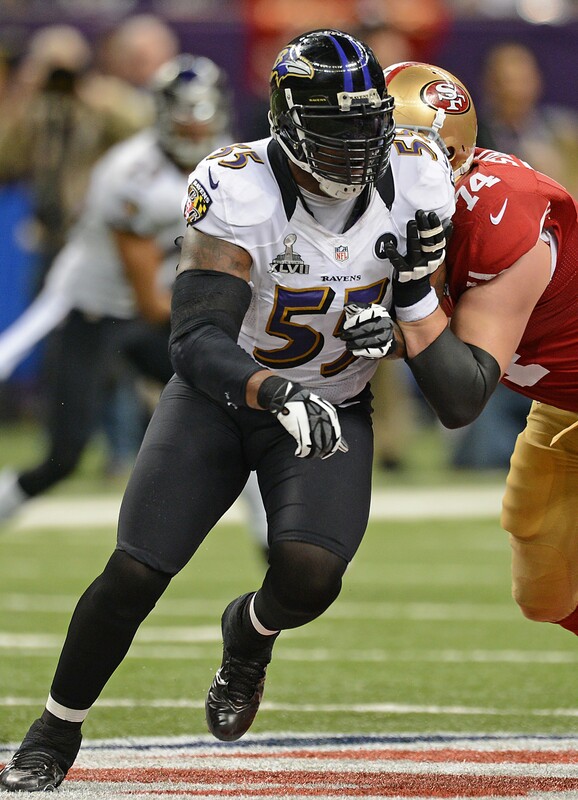 He started for Patriots in four of his five Super Bowl appearances. Bruschi is one of only 17 players to play in the game at least five times. He was one of 22 Patriots to play on the first three New England Super Bowl winning teams.